If you already have self published books, chances are you’re looking for effective online marketing book strategies to help sell your book. You’ve spent hours brainstorming, writing, editing and publishing your book. Now what? Now it’s time to let people know that your book exists. Even if you have a great book, it doesn’t matter if no one knows about it. 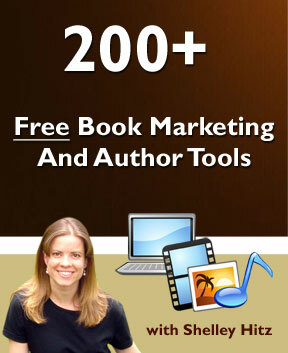 So, how can you gain more fans and sell more books through online marketing book strategies? What is a “Virtual Book Tour” anyway? Basically it is a blog tour where you share guest posts on different blogs to promote you, your blog, your products and your books. 1) It’s free. Who doesn’t want free book marketing, right? However, you do have to spend your time researching and writing the posts, but you don’t have to pay for the advertising you will get from these posts. 2) It’s forever. 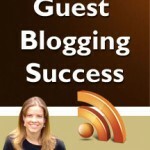 Your guest post will remain on that blog forever to promote you, your products and your books. 3) It’s fun. Not only do you get tons of increased blog traffic, exposure, new fans and new customers but you also meet some amazing people in your field of expertise. I have found it fun to network and get to know the other key players in my niche. I have even done many self publishing interviews with them on my site as well. If you are going to invest the time into scheduling a guest blogging tour and writing the posts, you’ll want to make the most out of this online marketing book idea. 1) Do your research. Your tour will be much more effective if you choose high traffic, popular blogs. You know that a blog is popular by finding out their Google page rank and Alexa ranking. In the beginning, you may still want to target a few smaller blogs, but don’t be afraid to approach the authority blogs in your niche! 2) Provide high quality content. Be a great guest and provide unique, high quality content for your host. Don’t use PLR or an article you posted to a directory. Make yourself stand out by putting your best foot forward. 3) Develop a plan. You will need to plan how long your tour will be and develop a schedule for your tour. If you are doing a longer tour, you will need tools to help you stay organized. Use what works best for you whether it’s an Excel spreadsheet, a Word document or pen and paper. To get started right away at planning your “Virtual Book Tour” to gain more exposure and more fans, download a FREE 20-page report from Shelley Hitz, of Self-Publishing-Coach.com called, “Guest Blogging Success.” You won’t want to miss out on this online marketing book idea that is growing every day in popularity. Shelley Hitz is an entrepreneur, speaker, author and consultant to organizations, individuals and businesses who want to multiply their impact through self publishing. She teaches from personal experience. Over a two year span, while working full-time, she self published five books, multiple audio CDs, authored two websites that attract thousands of visitors each month, and created multiple products that she sells through her website and at her speaking engagements. She provides extensive training materials on self-publishing. 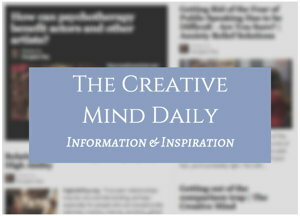 See more articles by Shelley Hitz.